I've been scribbling in this space now for seven years. My enjoyment of whiskey goes back a lot further but my early drinking career was marred by a shameful lack of curiosity about the contents of the glass. 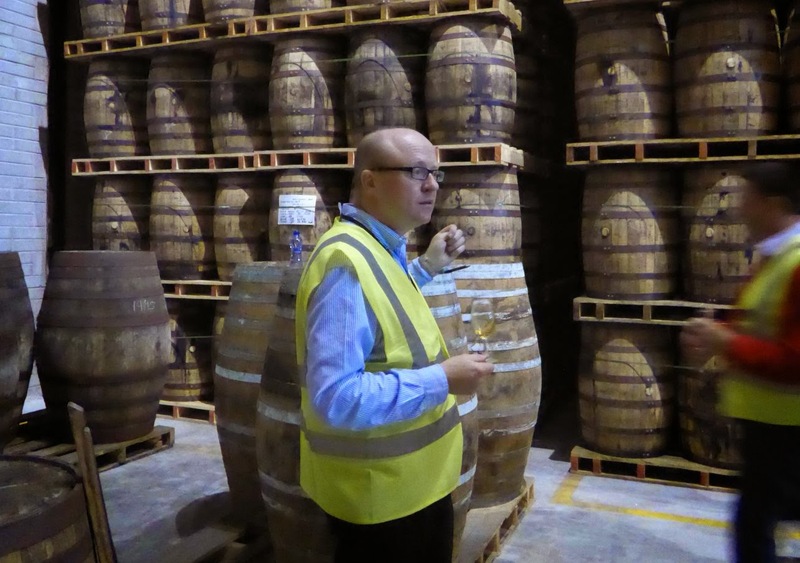 When I eventually stirred into action, I found solid information on Irish whiskey hard to come by. This blog represents the slow accumulation of knowledge gained from seven years of tastings, reading between the lines of press releases, stalking those in the know at rare public appearances, getting a night job as a cleaner in Midleton (no, wait, that's the plot of Wall Street). Piecing together what is going on behind the distillery gates has been an exercise akin to Kremlinology. If only the Irish Whiskey Academy had existed when I was starting along this road. I could have downloaded all of that hard-won knowledge into my noggin in just two days. 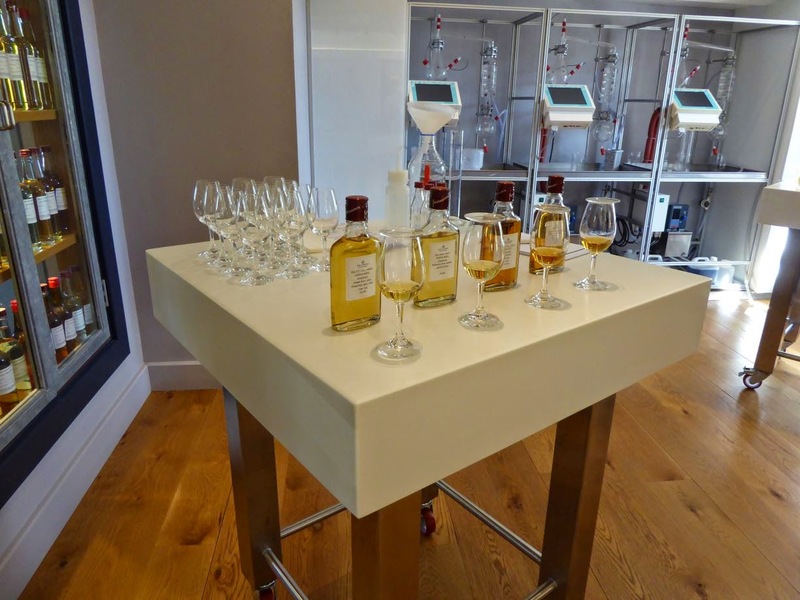 The Academy was launched by Irish Distillers in early 2013 to educate employees, members of the drinks trade, media folk and whiskey connoisseurs on the craft of making Irish whiskey, as practised at Midleton. It occupies the renovated Mill Manager's House, dating from 1794, right on the boundary between the old and new Midleton distilleries. 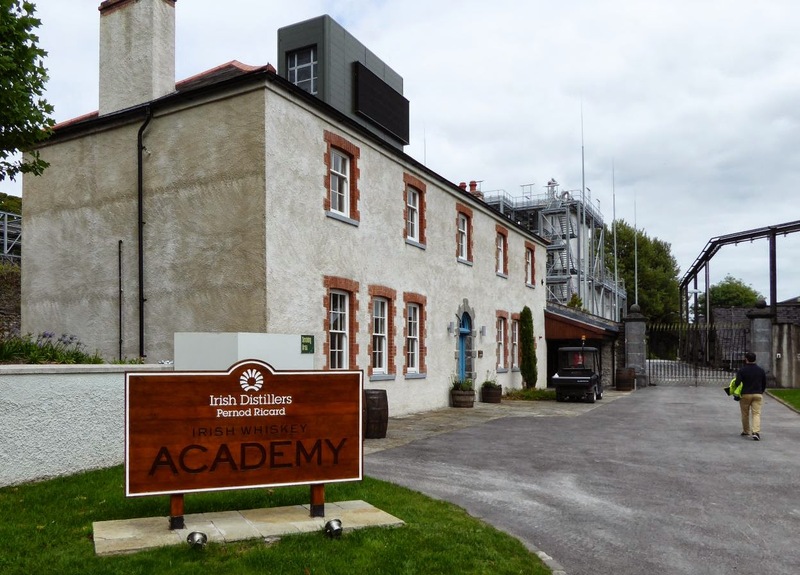 The Irish Whiskey Academy, with the new Midleton Distillery looming behind. I was recently invited to spend two days at the Academy which was quite the thrill. Our instructor, David McCabe, took us for a quick spin through the old distillery to set the scene. It was both a wonderful reminder of our industrial heritage and a first pass over the whiskey-making process, which hasn't changed all that much in centuries. 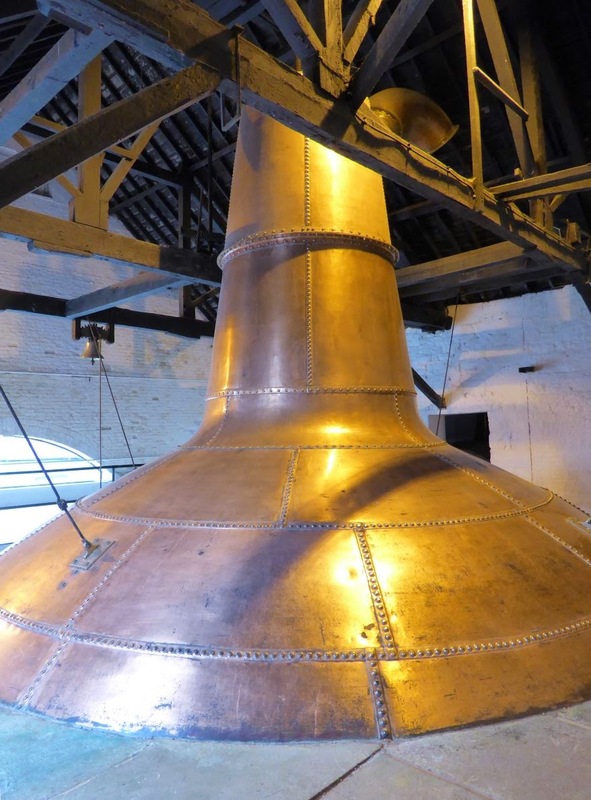 The old Midleton Distillery contains what is, apparently, the largest pot still in the world. 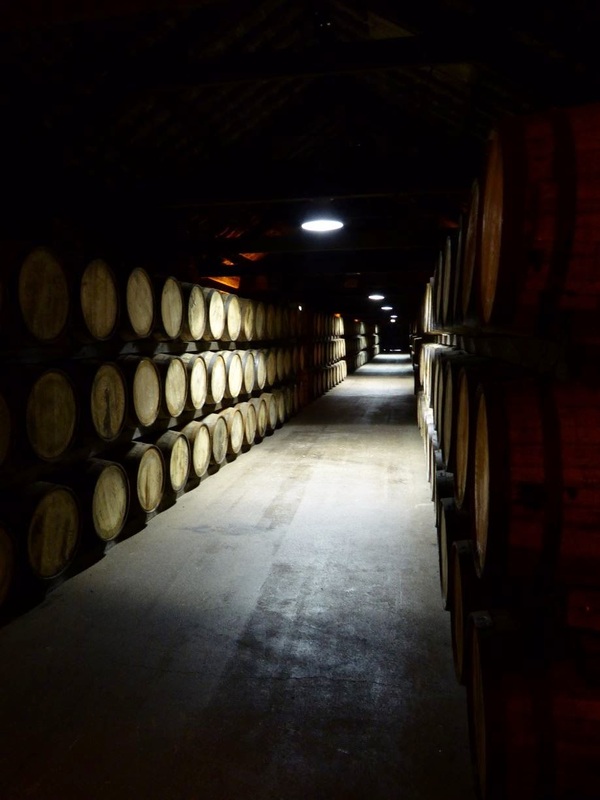 The recently restored 19th Century A1 warehouse with casks of maturing pot still whiskey. On we went to the Academy building, the interior of which overflows with fun detail. There are flavour descriptors carved into the edge of the tasting room table. 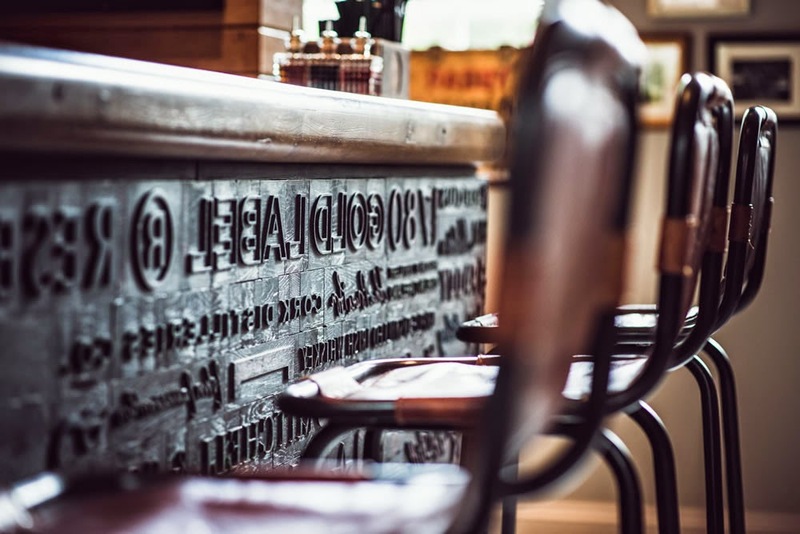 The metalwork on the whiskey cabinets depicts drops of whiskey, bottles, barley and cask ends. The bar is like a printer's block of reversed type, ready to ink vintage labels. The Academy bar. 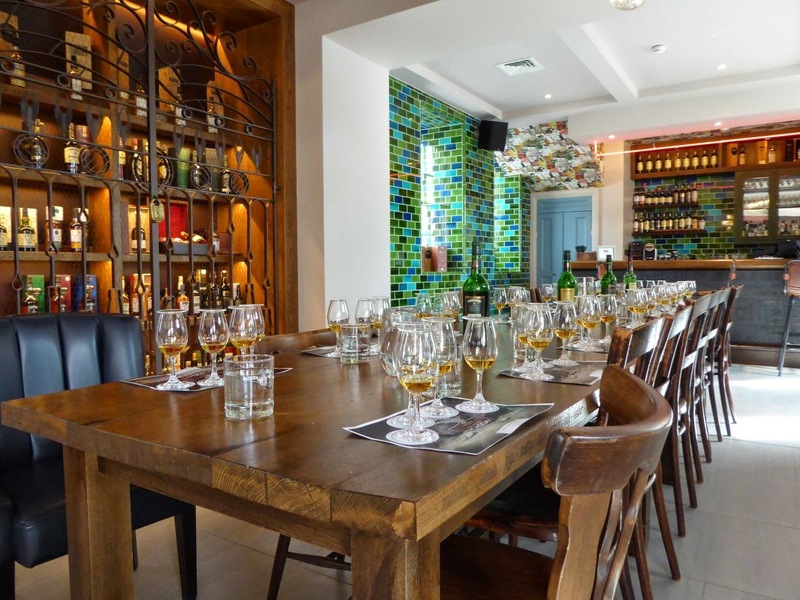 Photo courtesy of the Irish Whiskey Academy. Immense imagination and care has likewise gone into the teaching materials. 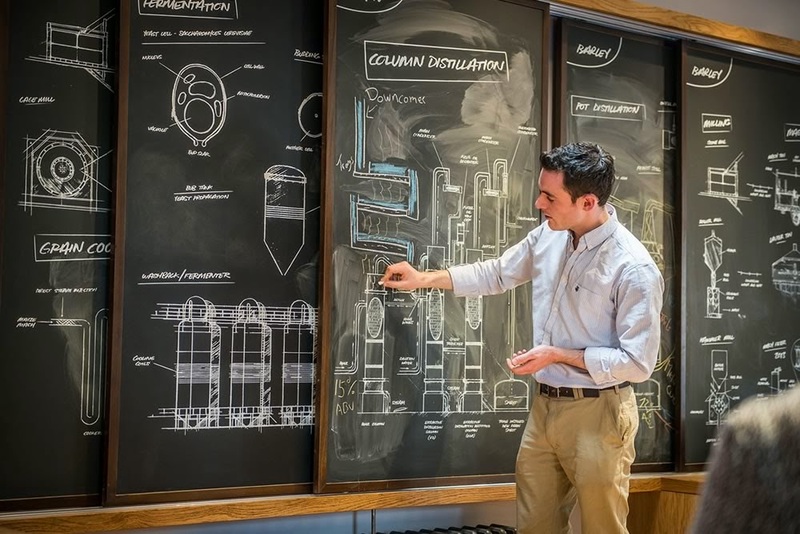 Since this is a single-topic school, the blackboards come pre-loaded with neat, indelible diagrams of distillery kit that can be chalked over by the instructor. Our instructor, David McCabe. 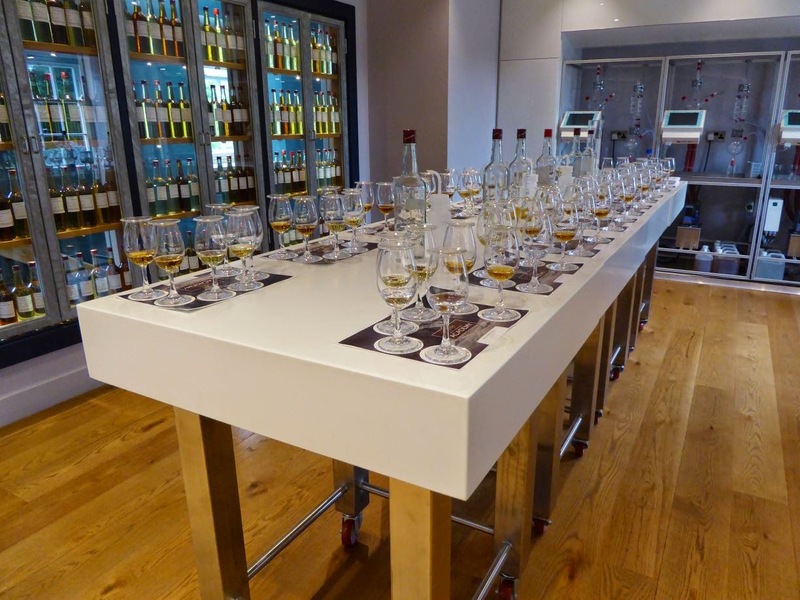 Photo courtesy of the Irish Whiskey Academy. The maturation story is beautifully etched onto sliding oak panels. The chalk-and-talk sessions were short and punchy but attention never got a chance to wane anyway as we constantly relocated within the building depending on the task at hand. Besides the classroom, there is a lab, a bar, a tasting room and a fireside area with comfortable chairs. After covering pot distillation, for example, we moved over to the lab to see distillation on a small scale and to sample spirit before and after ageing. Later, after a module on column stills, we decamped to the tasting room to work through the Jameson range which relies on the output of those stills. It would be crazy to attend class in a distillery without casting an eye over the plant itself. And so off we went to view the grain delivery, the cooperage, the brewhouse, the fermenters, the control room, the stillhouse, the filling line and a warehouse stacked high with casks. Along the way, we met Midleton's various "masters", or at least those who were not on the road turning the world onto Irish whiskey. 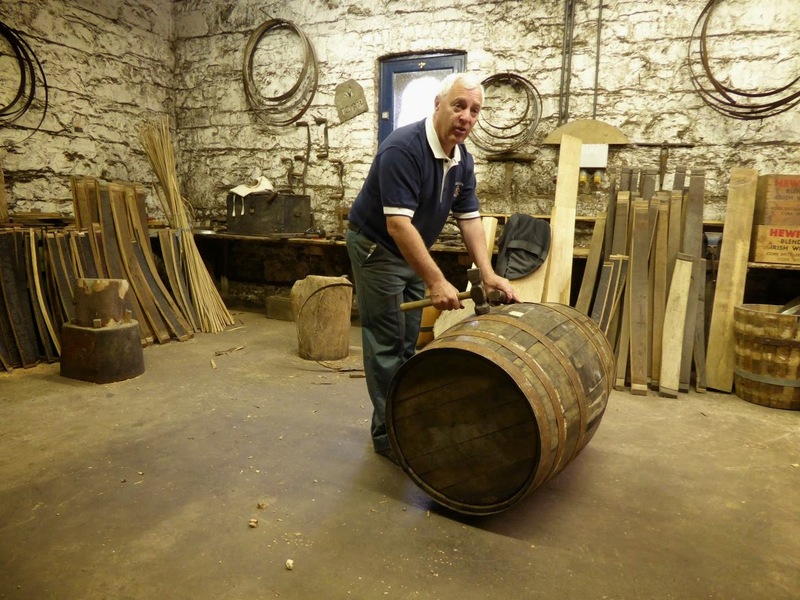 Master Cooper, Ger Buckley, demonstrated the various coopering tools and dismantled a cask before building it up again. We met Master Distiller, Brian Nation, in the Garden Stillhouse. Photo courtesy of Irish Distillers. When we had absorbed all that Dave and the masters could impart, it was time for us to create our own whiskeys. Starting from the various components that make up Jameson Black Barrel, we were invited to combine them according to our own preference. We produced a number of blends, a couple of which were gorgeous, a couple of which were not. The variation possible in finished product from such a limited palette was remarkable. We blend our own whiskeys, taking away a small bottle of something truly unique. What is the difference between spring barley and winter barley? Why do some column stills (like that at Midleton) have three columns rather than two? I got answers to all these at the Academy but I know if I repeated my two days there that I would notice new things, generate fresh questions. That two days, by the way, is the Enthusiast Package, and costs €1,199. 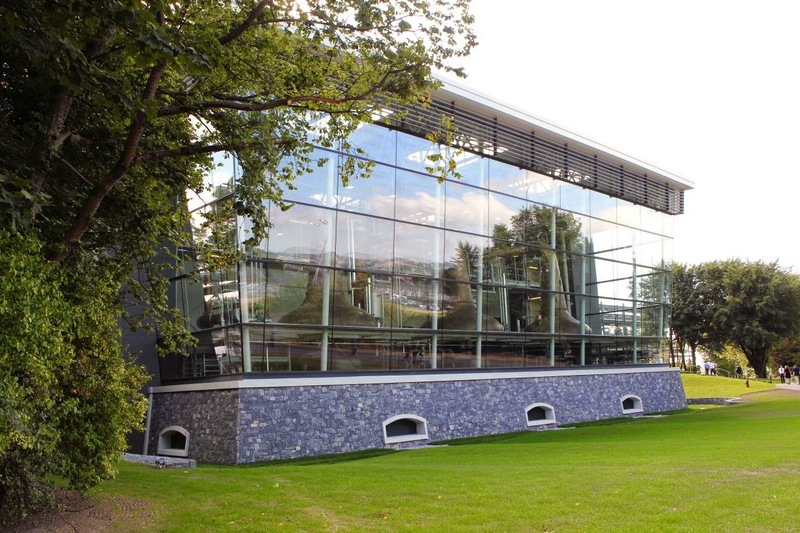 It includes all local transfers, one night's accommodation (at the rather plush Castlemartyr Resort Hotel), a hosted evening at a premium restaurant (for us this was the fabled Ballymaloe House) and lunches at the Midleton Distillery visitor centre restaurant (which were outstanding). Attendees are also presented with a most marvellous and highly technical book containing the course material and more. It is not obtainable by any other means. There are shorter experiences available starting at 2 hours for €59.